Hands-On Motorcycle Gloves Reviews Trusted For 20+ Years. We've Battle Tested Hundreds of Pairs of Gloves Since We Started. Hands On Motorcycle Glove Reviews For 20+ Years. We Crash, Scrape & Beat Gloves Up So You Don’t Have To. We all agree that our hands are important and that protecting them is absolutely vital when you spend time riding a motorcycle for fun. It befuddles us that in this day and age we still see people flying down the road on their bikes with bare hands and a lack of any real safety gear at all. Idiots. Not us. We take protecting our precious hands seriously which is why the team here at wBw has been testing motorcycle gloves for over twenty years. We don’t just unpack them or do a quick internet search. We put them through their paces in the real world for extended periods of time. The average review takes us six weeks and there are no shortcuts. That’s because in addition to their primary job of protecting a riders hands from injury in the case of an accident, gloves also have to deal with all sorts of weather conditions, day to day scenarios like going to the store to pick up groceries or riding 100 miles on the open highway in the rain. They need to avoid getting hands sweaty in hot weather riding climates and be able to provide good grip to make controlling a bike easier. At wBw we believe no single pair of gloves is perfect. We test gloves and other gear to help you understand the pros and cons of each pair and to better understand which trade offs you’re ok with given your situation and which are not. 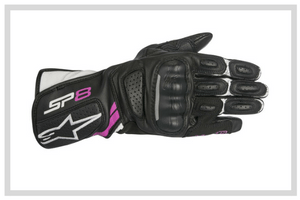 Take some time to read our reviews and we hope you find the right gloves for your riding needs. Looking for a specific glove pair by a specific brand or style? Find it Here. Most riders don’t realize just how many motorcycle glove brands exist. As you can see from the list below we’ve tested a lot of gloves from a lot of manufacturers in our twenty plus years of testing gear. Below, we have listed all the glove brands we have tested, you can simply click on the link to see all the reviews we have conducted for each brand. webBikeWorld has worked closely with RevZilla over the years to provide our testers with products to review. In addition to being a great site to shop from, they’re also a great partner to work with. Both companies have a great selection and their prices are hard to beat. We have reviewed hundreds of gloves over the years at WBW so we know a thing or two about which glove brands our editors love. We also see the analytics on the site too so we know which brands get the most views and attention from our readers. Between consumer interest, our editor’s opinions and generally who we think is really innovating in the glove space, here are the most popular brands at the moment. 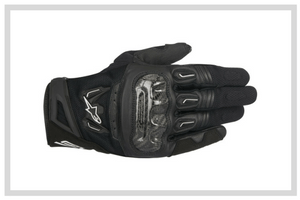 Alpinestars makes technical, high performance protective gear for Motorcycle, Motocross, and Auto Racing and more recently for action sports like Adventure/Touring, Mountain Biking and Cycling. It all started in 1963 when a leather craftsman by the name of Sante Mazzarolo began creating the first Alpinestars branded products. At that time a new sport called motocross was establishing itself. Low and behold Mazzarolo invented a new type of footwear that would meet the protective needs and demands of this beautiful yet brutal form of athleticism. Alpinestars is top of the heap when it comes to quality motorcycle gloves and their range is huge with gloves for everything from everyday street use all the way to the top of motorcycle racing elite in MotoGP. 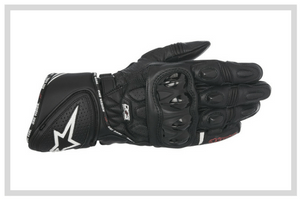 Helpful Links: Read Our Alpinestars Gloves Reviews. 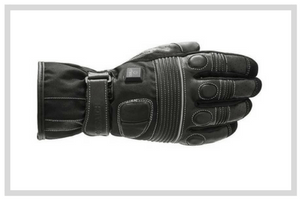 Motorcycle gloves find the right balance between comfort, control and protection. It is one thing to have a glove that protects you but it is another to have a glove that protects you AND makes controlling your motorcycle easy. That’s where Joe Rocket gloves excel. The other area of excellence for Joe Rocket is affordability and price point. They really make great gloves that are reasonably priced and can be purchase by all budgets. Making their gloves so accessible is a big deal which is why we’re big fans. 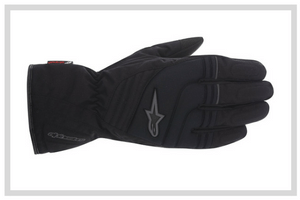 Helpful Links: Read Our Joe Rocket Glove Reviews. For 70 years the privately own Held brand has made awesome gear for motorcycle riders. Despite being one of the most respected manufacturers in the motorcycle clothing and accessories sector, Held remains a family business made up of passionate bikers, still with its headquarters in the same picturesque Alpine town of Burgberg in Germany. Our friends at RevZilla think that Held motorcycle gloves to be the best in the world and we happen to agree that they are up there with the best. Most of their gloves are over $100 (sometimes way more) but can be found on sale every now again. If you are looking for awesome gloves, don’t forget to check Held out. Helpful Links: Read Our Held Gloves Reviews. “Dainese uses innovation and new technology to create protective gear and clothing for motorcycle, bike, equestrian and winter sports” according to the Dainese official website. Started in 1972 the team there makes not only motorcycle boots but all types of other protective gear (back protectors, gloves, airbags and more). A very focused R&D outfit, Dainese was the first to develop a super cool instant-deployment airbag suit and jacket system – it basically blows up like an inflatable balloon to protect you in a crash. Dainese gloves are durable, high quality and at the premium end of the market. 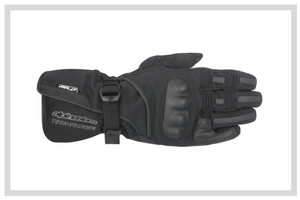 With a massive range of gloves they cover every riding type and glove style. It is no surprise that Dainese gloves end up near the top of our best of lists, they just make awesome gear, consistently every year. 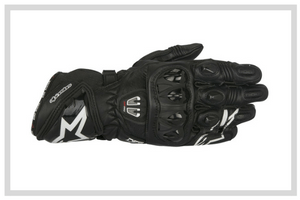 Helpful Links: Read Our Dainese Gloves Reviews. Makers of Helmets, Jackets, Gloves, Pants, Footwear the team at Icon is one of the largest street based protective motorcycle apparel brands in the world. Founded in 2002, ICON exploded onto the scene with unabashed attitude – maybe that’s why we love them so much. They focus on the modern performance rider who rides in the real world of messed up roads. Their core mission is “protecting riders whenever and however we can, knowing that reckoning day is coming for all of us”. That’s why Icon gloves are rugged and top quality. We love the price point of Icon because they are affordable for most riders, definitely a fan favorite for sure. Helpful Links: Read Our Icon Gloves Reviews. With a focus on innovation and well designed motorcycle clothing, REV’IT knows how to make cool clothing and gear. We’ve often described REV’IT as a company that “gets it”. Their focus on motorcycle gloves shows they know riders really well. We love for example that most of the gloves are constructed with seasonality in mind, which most riders know make a huge difference. While REV’IT has a broad range of gloves we’ve found they do their best work with daily street riding and touring applications. Their winter gloves are also strong too. 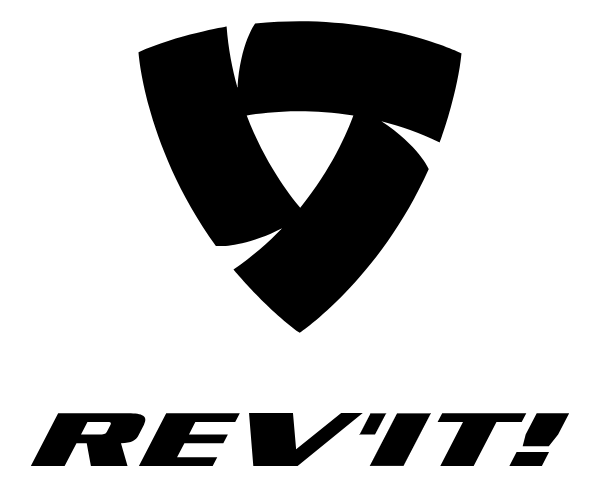 Helpful Links: Read Our REV’IT Gloves Reviews.